B”H Yesod Yosef distributed Shabbos assistance to 8 poor families. 22 families were granted Pesach assistance through the Yesod Yosef Holiday Help program. 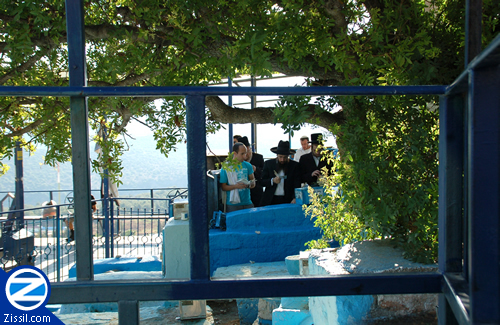 Donors were prayed for by the Kivarim of the Holy Arizal, Rabbi Shimon bar Yochi, Binayahu ben Yehoyada and Binyamin HaTzadik. One of the main goals of spirituality has always been receiving the the face of the face of the Shichina. We see here that the Mitzvah of Tzedaka is great enough to help this happen. As we near Pesach the expenses start pilling up. Think about all the extra money needed for cleaning, Matzos, Holiday meals and everything else that comes along with Pesach. It has long been a tradition in Jewish communities to donate Maos Chitim and provide help to families that can not afford all these extra expenses. Yesod Yosef distributes 100% of these funds directly to poor families in Eretz Yisroel who are in a constant financial struggle and are definitely more needy around Pesach time. B”H we have already been able to assist 22 families this year, help us help more families.